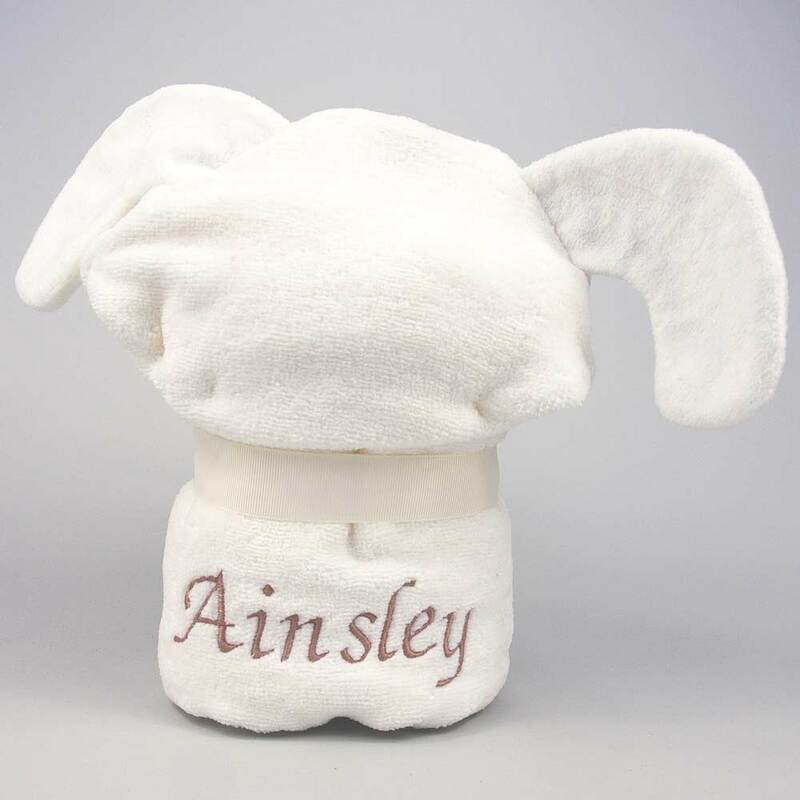 This Long Eared Puppy baby towel is made using the softest and super-absorbent 100% cotton terry towelling which stays plush, wash after wash.
For a really special touch, why not personalise your new Long Eared Puppy baby bath towel with your choice of name beautifully embroidered on the back. 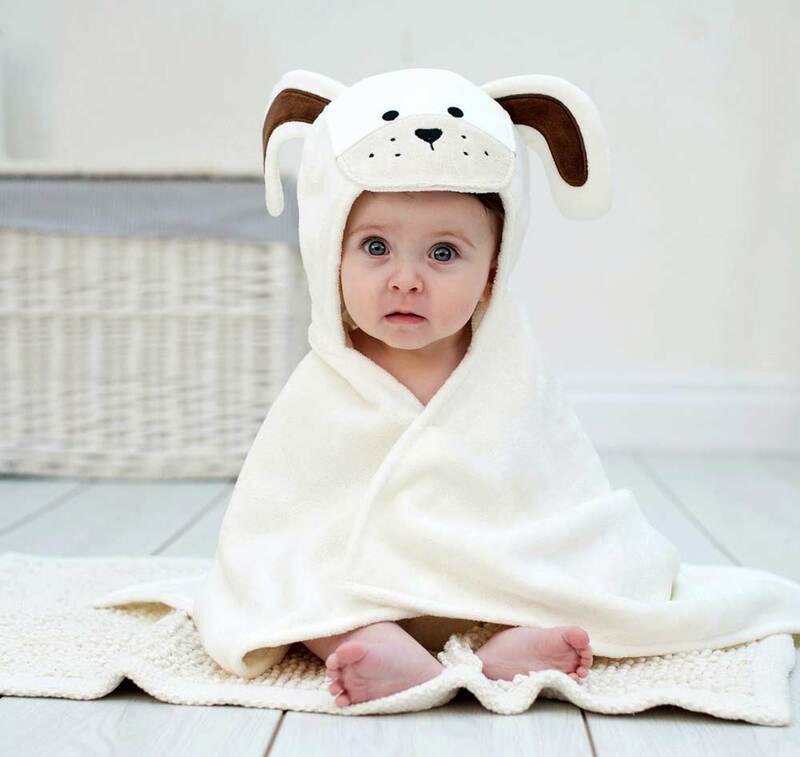 If you select the gift-wrap option, we will present this Long Eared Puppy hooded baby towel in a Bathing Bunnies gift box lined with tissue paper to create an extra special baby present. 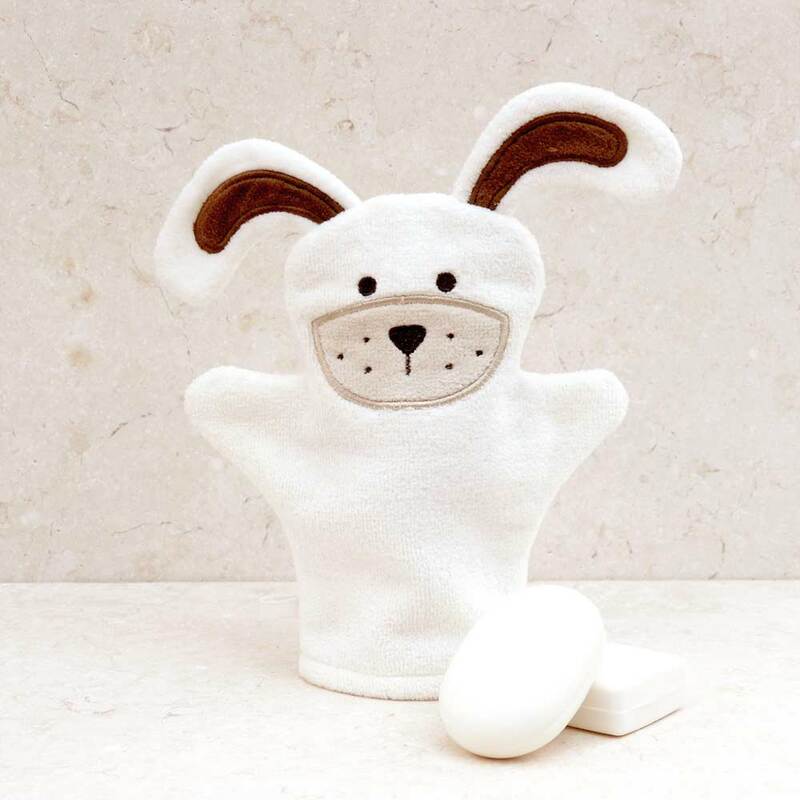 Bathing Bunnies is very proud to introduce our brand new and super cute Long Eared Puppy baby bath towel to join our 'family' of personalised baby gifts. 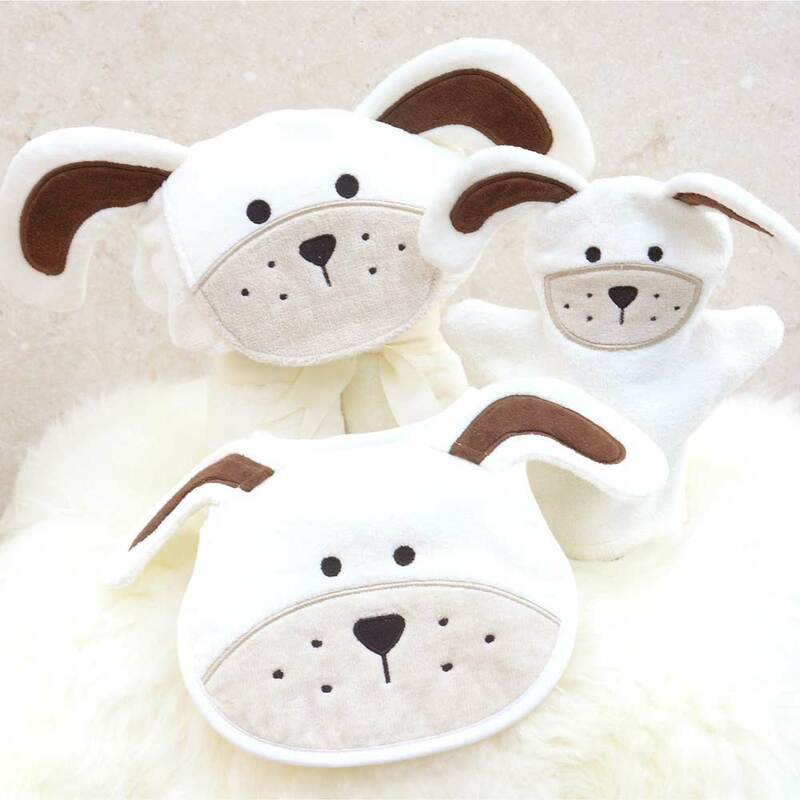 Baby towels made the perfect baby shower presents and newborn baby gifts for christenings, birthdays and Christmas. 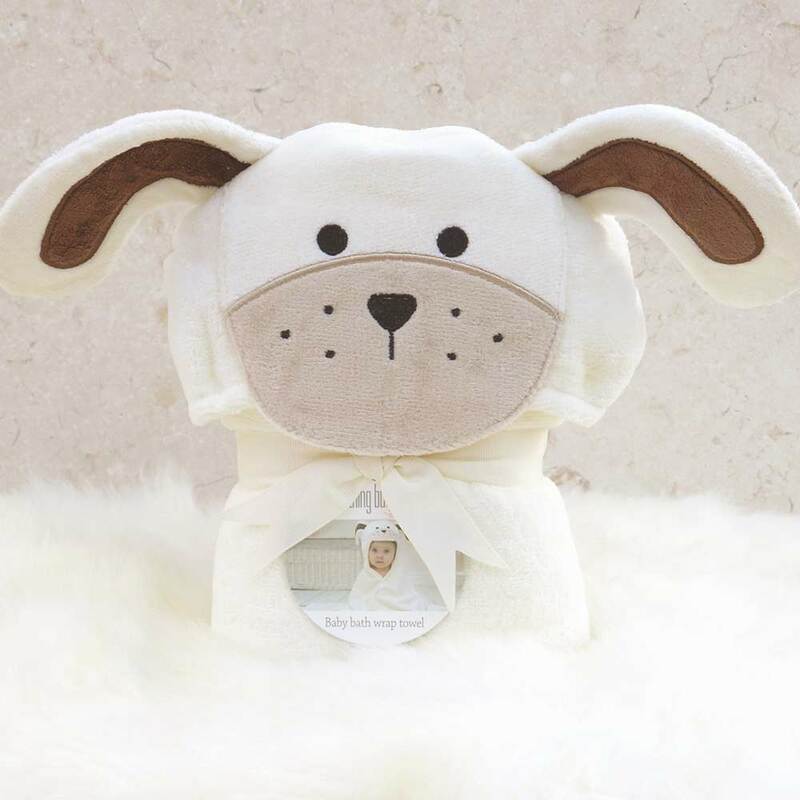 The hooded baby towel features an adorable playful puppy in neutral colours, cleverly folded and beautifully presented with a cream ribbon to create a freestanding soft 'toy'. 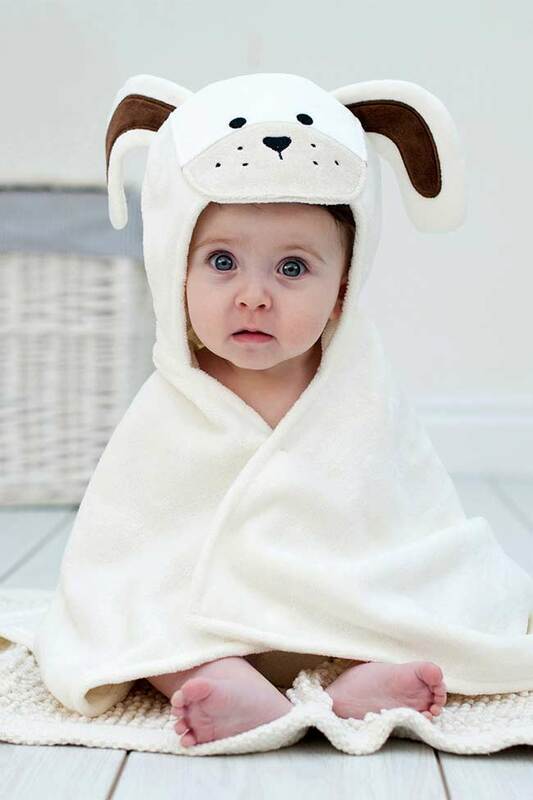 Bought the Baby Towel as a gift for a friend’s newborn. She absolutely loved it. I’m very happy with the purchase. It was a gift and the family was very impressed and excited when received the playful towel. Lovely towel. 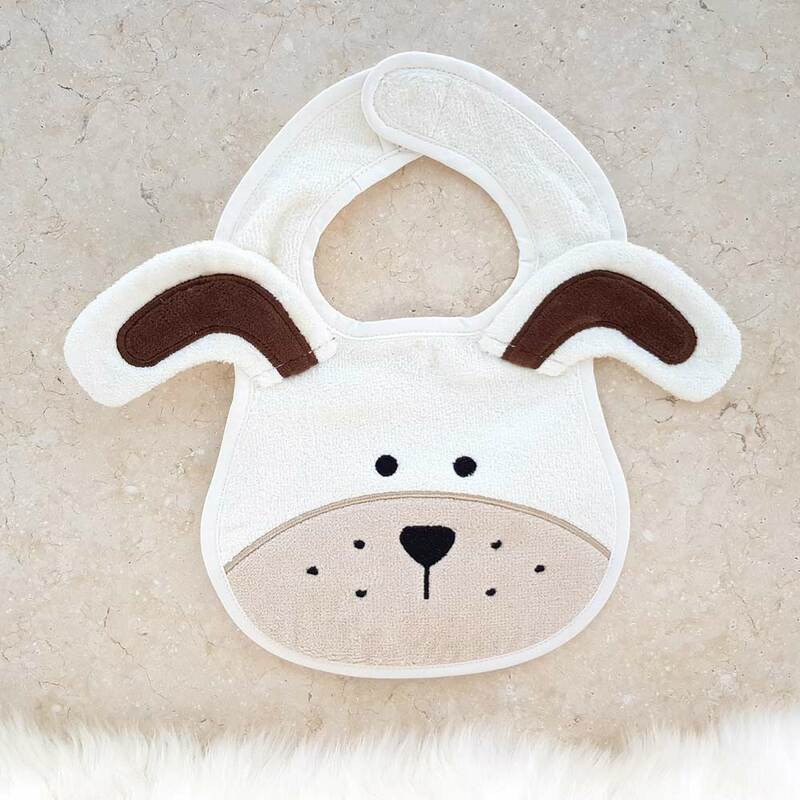 The square shape with the hood on one side is much easier to use than other baby towels which have the hood on the corner. Great seller and quick arrival. Lovely quality towel and the surname printed on the back was so worth it. Print was large and beautifully done. A gorgeous baby shower present . Very cute. Arrived really quickly. Couldn’t be happier. 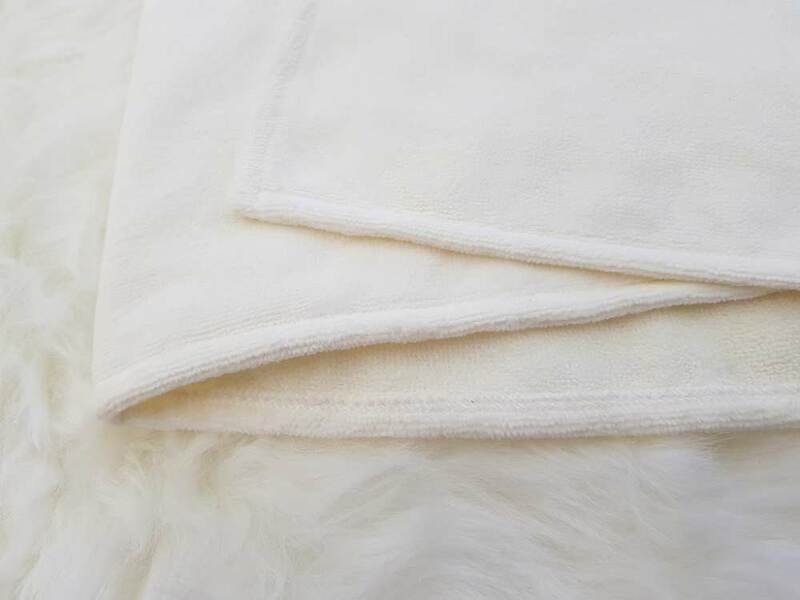 Gorgeous bath towel – so cute! Great product ! beautifully finished. 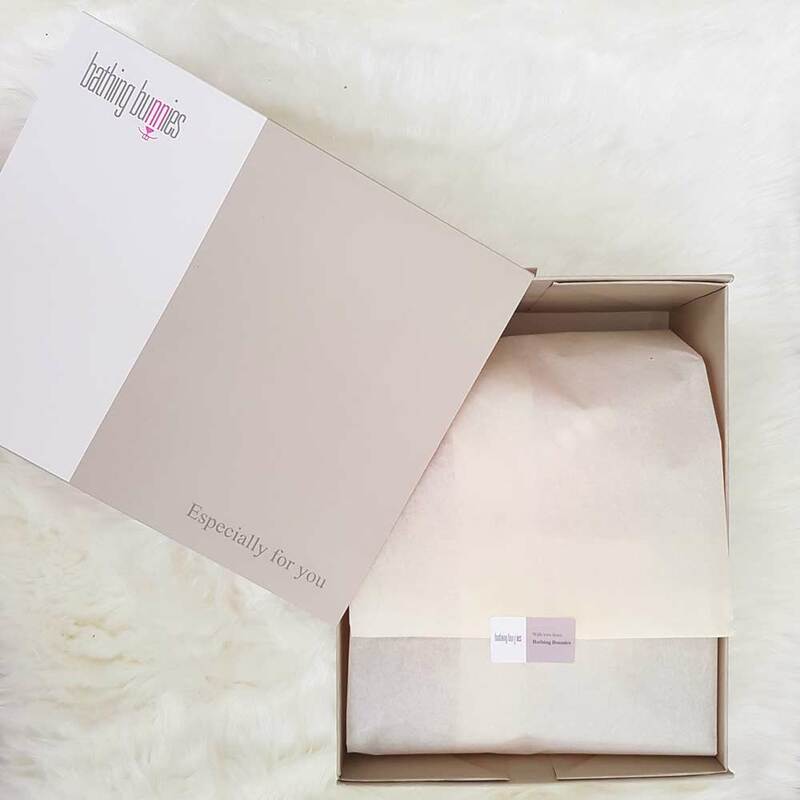 Loved the product, prompt service beautiful gift wrapping.great web site. I made a spelling mistake on my order, and although they were unable to change the original order as they had already dispatched , when I had to re-order they gave me 2 complimentary products which matched. I was very impressed and would thoroughly recommend the company to anyone looking for personalised baby products. Gorgeous. Good quality. Bought for my new grandson and daughter thrilled with it. Very, very cute. Perfect item – exactly what I was looking for!